Jump up, jump up and get down at EZ Air in South Reno, Nevada. EZ Air is a unique spin on the bounce house playground. 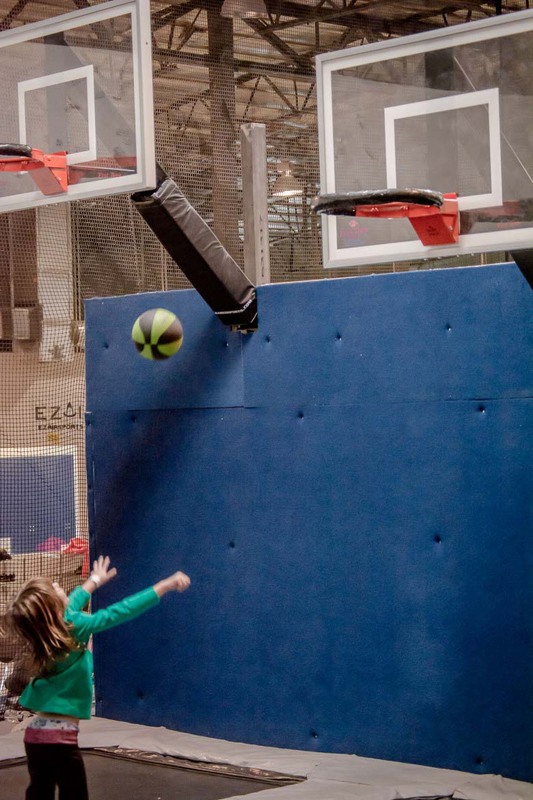 EZ Air is an indoor trampoline park in South Reno. A creative and exciting venue for all ages, from little kids all the way up to adults. 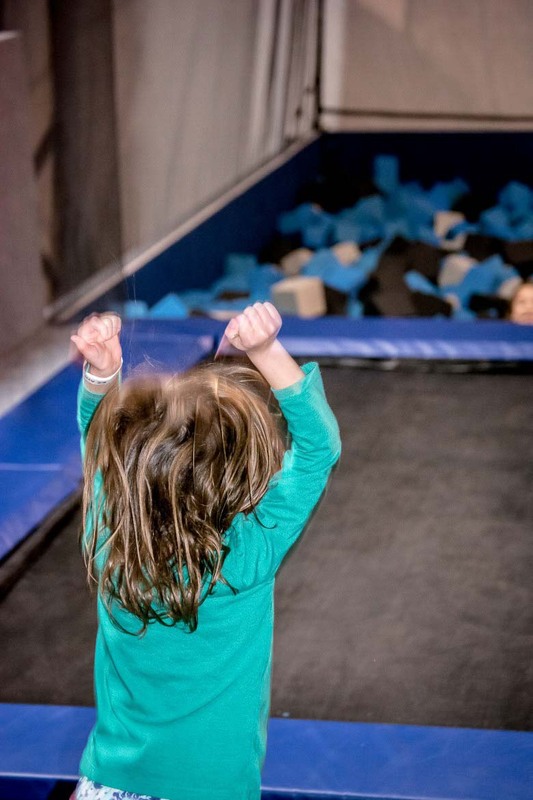 EZ Air offers birthday parties, toddler Thursdays and several open bounce times throughout the week. We first experienced EZ Air while attending a birthday party for our daughter’s classmate. It was on a Saturday and location was very busy. In fact, the time slot when we attended was sold out, but the good news is you can pre-book your bounce time online (we highly suggest this for the weekends). Upon entering, there are racks for shoes and a sitting area for parents with comfy couches and TV’s. 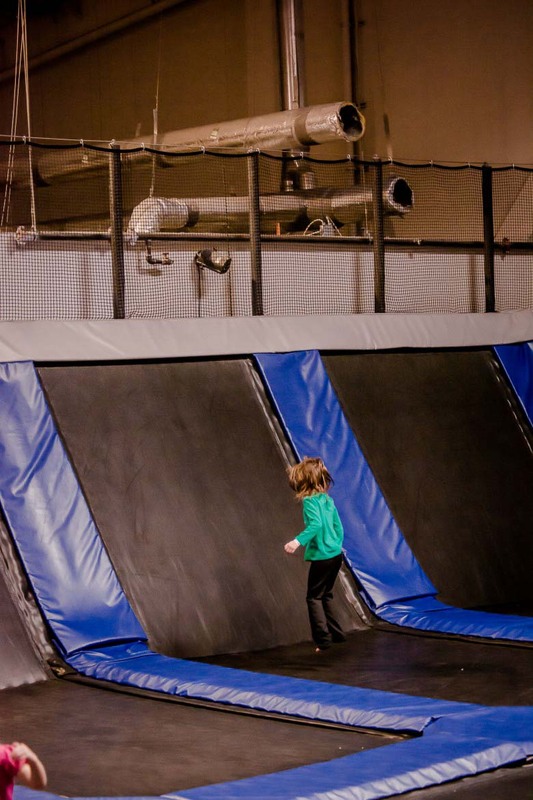 The first bounce area is a series of smaller trampolines (about 20+ of them) where the bouncers can run and jump; even jump off the side where there are trampolines lining the walls. 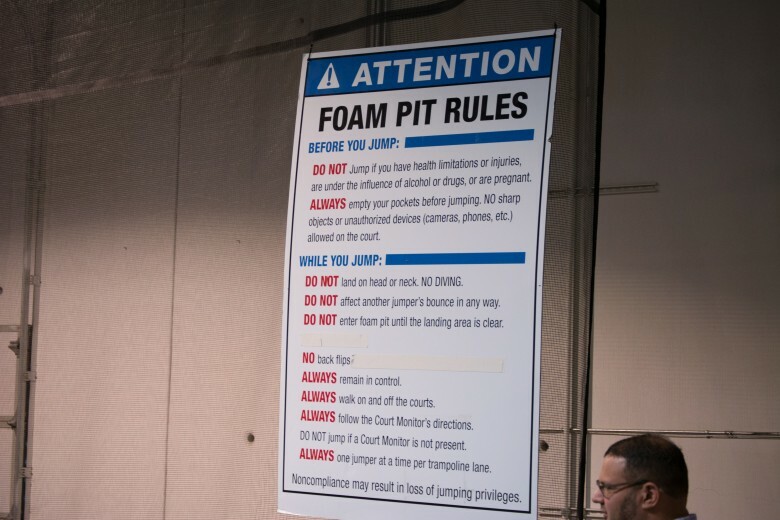 The next area includes two trampolines you can run onto and jump into a large foam pit filled with super soft foam blocks. This was a big hit among the five year old group we were with, they were racing each other, seeing who could jump higher and in general the amount of giggling happening from this area made it clear this was a fan favorite. 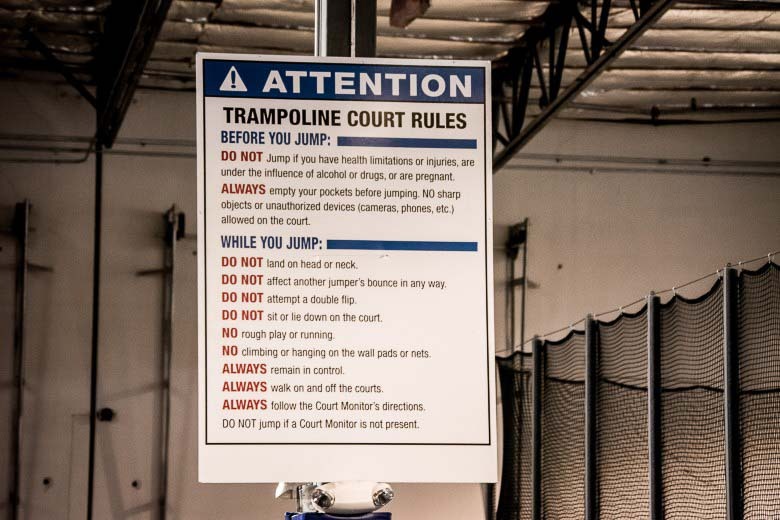 Two more areas include trampolines to bounce towards basketball hoops, you too can be Michael Jordan or Lebron James! 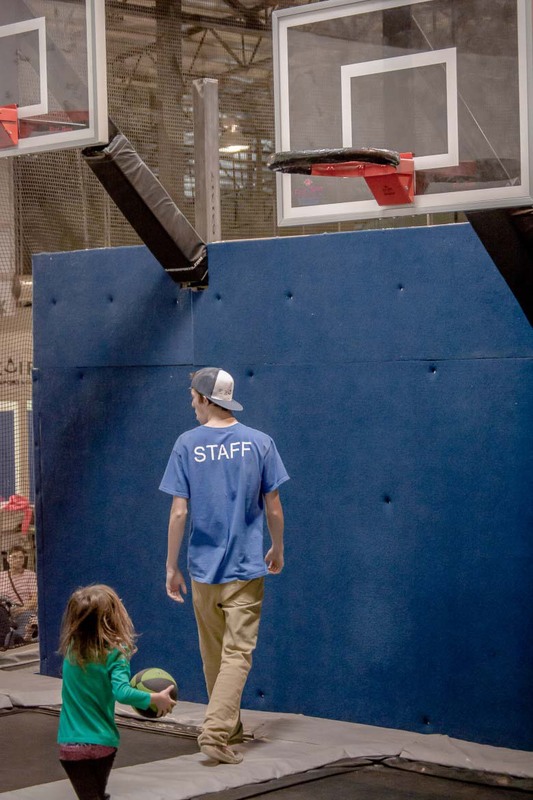 Finally, the dodge ball court is open for older kids and monitored by multiple employees. 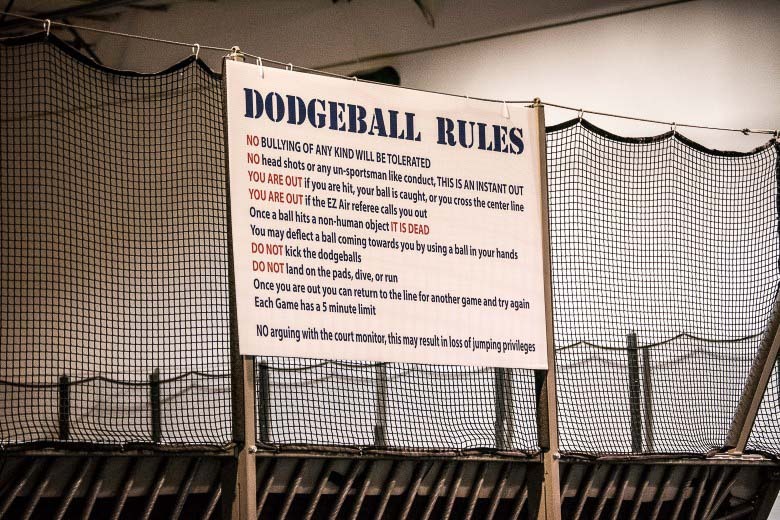 We did not play in this area as our kids are all under five, but I could tell by the line of pre-teens and tweens hanging out that dodge ball and trampolines together make for an excellent time. Each area is monitored by an employee to ensure safety guidelines are always followed. When I took our three year-old, I was incredibly impressed with the employees who are all friendly and really know how to talk to a child. My three year-old was nervous and was not sure of himself, but was encouraged to give the various areas a try by several employees. EZ Air also has a snack bar and, as mentioned before, birthday party rooms. The prices for a birthday party are comparable to other venues in town and include a full hour of jumping for party guests. The rooms are large enough to fit three tables of kids as well as parents all around the perimeter of the rooms. The entire place is large and open. 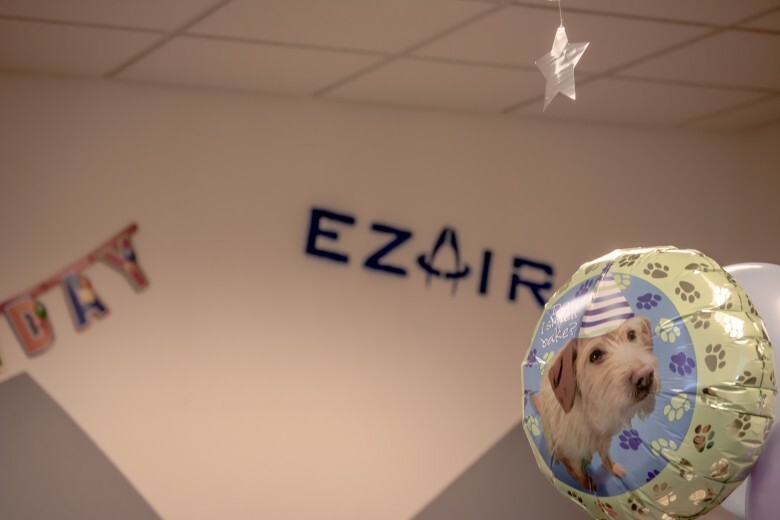 We absolutely enjoyed our couple of visits to EZ Air and will surely be back many times with our children. 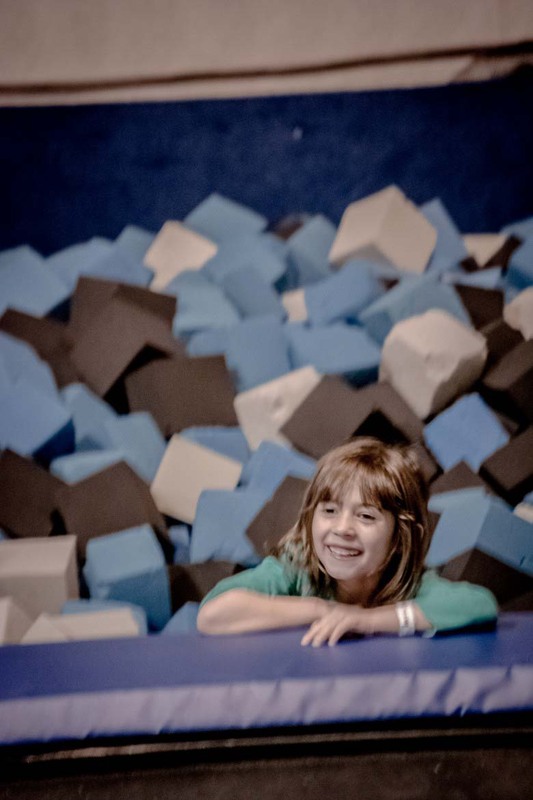 If you haven’t visited this South Reno family friendly venue, it’s a great indoor place to get some energy out of your kids. I personally recommend booking your time for just before nap time… I promise you they will be tired! Where: EZ Air, 895 E. Patriot Blvd., Suite#103 Reno, NV 89511. 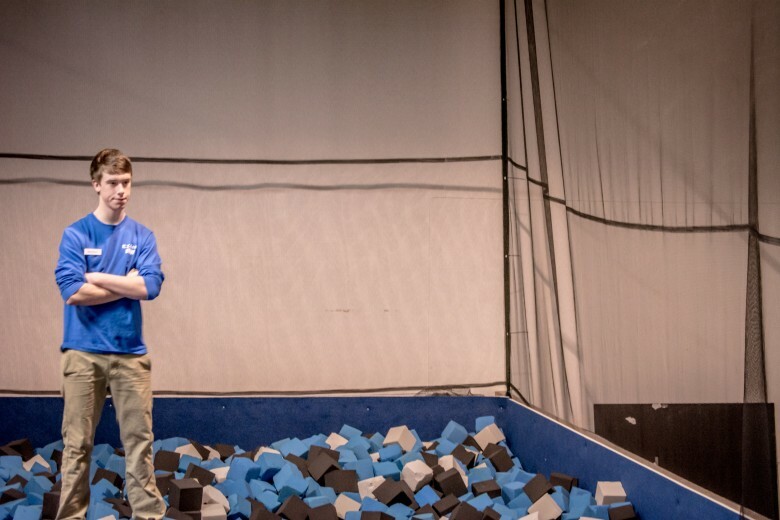 What: EZ Air Indoor trampoline park. 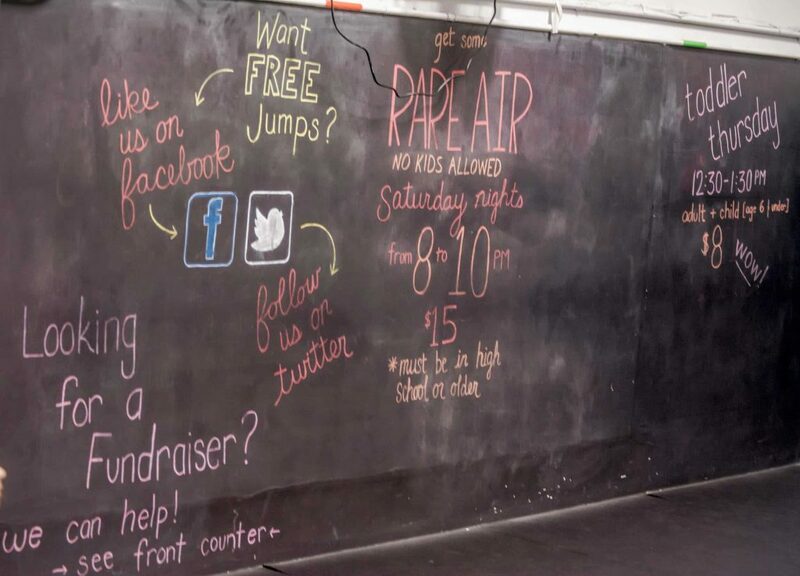 Need to know: Call ahead to book a Saturday session, birthday party or for best times for open jump. Extra Extra: Check out all of their upcoming summer camps.